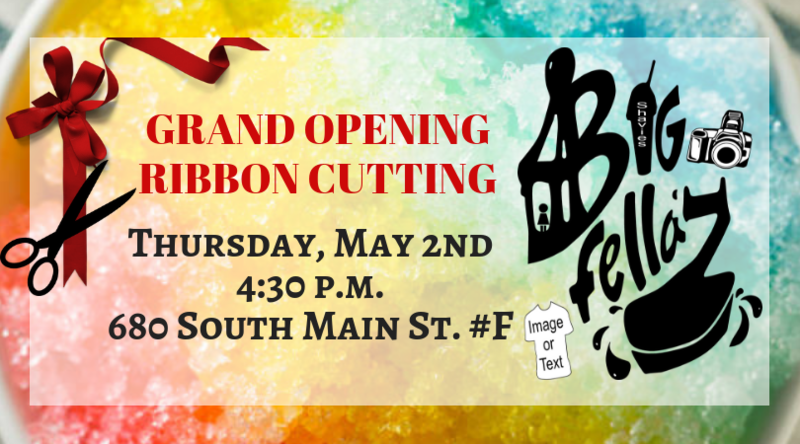 Please join us in welcoming one of our newest Chamber Members, Big Fellaz, at their Ribbon Cutting on May 2nd. This member is your one stop shop for for Shaved Ice Snow Cone services, Inflatable Rental Services, Custom T-shirts, Professional Photography Services & MORE. Come on out and meet the owners, Terence and Lashekia Jackson, their staff, and learn about all their services! Ribbon Cutting will be promptly at 4:30pm. Reception with refreshments to follow. We look forward to seeing you there!